Wernhir is a traditional Welsh working beef and sheep farm. The house is part stone part brick under a Welsh slate roof and offers a wealth of character. Our farm is situated in peaceful surroundings of the beautiful Mid Wales. A perfect location to enjoy the pictureque Wye Valley Walk. With an abundance of wildlife such as kites, lapwings, curlews, badgers and much more, we provide a great opportunity to see them all. Permit fishing is available. Take time to sit and relax in the attractive garden in the summer, or curl up in front of the roaring wood burner in the lounge in the winter. 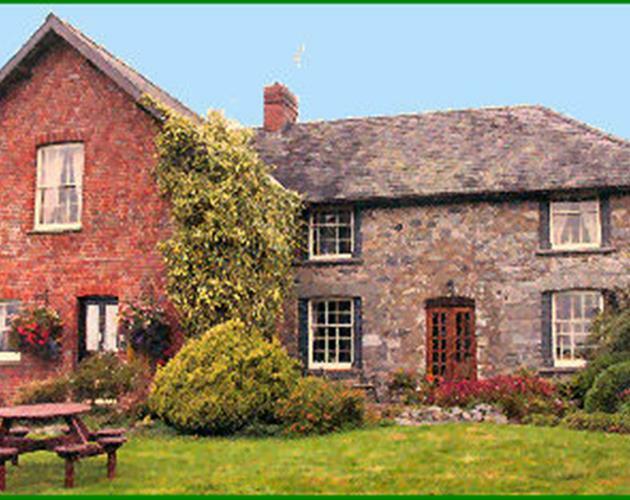 A warm, homely welcome awaits you at Wernhir all year round.